There are 7 Memory Care Facilities in the Thousand Oaks area, with 4 in Thousand Oaks and 3 nearby. The average cost of memory care in Thousand Oaks is $8,439 per month. This is higher than the national median of $4,650. Cheaper nearby regions include Westlake Village with an average starting cost of $3,500. To help you with your search, browse the 4 reviews below for memory care facilities in Thousand Oaks. On average, consumers rate memory care in Thousand Oaks 5.0 out of 5 stars. Caring.com has helped thousands of families find high-quality senior care. To speak with one of our Family Advisors about memory care options and costs in Thousand Oaks, call (855) 863-8283. Thousand Oaks, California, is home to 21,800 people over 65 years old, making up 16.9 percent of the city's 128,995 residents. To serve seniors with Alzheimer’s and other types of dementia, Thousand Oaks has four memory care centers, in addition to three facilities nearby in Simi Valley, Westlake Village and Agoura Hills. In California, memory care services are available through residential care facilities (RCFs), a type of housing arrangement licensed by the Department of Social Services. Most RFC residents are 60 years of age or older, with some exceptions, but RFCs cannot admit any individual who needs 24-hour nursing care. These facilities can support individuals with mild dementia if the resident organizes their own specialized care, like receiving medical care from a visiting nurse or contracting with hospice agencies to access services that the facility cannot provide. The cost of living in Thousand Oaks is 191, compared to the national average of 100. Housing is the biggest factor; it's almost four times as expensive as the rest of the United States on average. Thousand Oaks has few facilities from which to choose in the event of a medical emergency or illness, with the nearest major hospital specializing in brain health and dementia care located in Los Angeles. Thousand Oaks is a quiet, safe community, making it ideal for seniors. The violent crime rate is about 20 percent lower than the US average, and property crime rates are almost 40 percent lower. Thousand Oaks also sees 20 percent less property crime than the entire Oxnard-Thousand Oaks-Ventura Metro on average. Residents of this city enjoy 268 sunny days per year, and the average temperature in ranges between a high of 80 degrees in July and a low of 46 degrees in January. As such, senior residents are unlikely to be endangered by extreme weather. Memory Care costs in Thousand Oaks start around $8,439 per month on average, while the nationwide average cost of memory care is $4,800 per month. It’s important to note that memory care rates in Thousand Oaks and the surrounding suburbs can vary widely based on factors such as location, the level of care needed, apartment size and the types of amenities offered at each community. 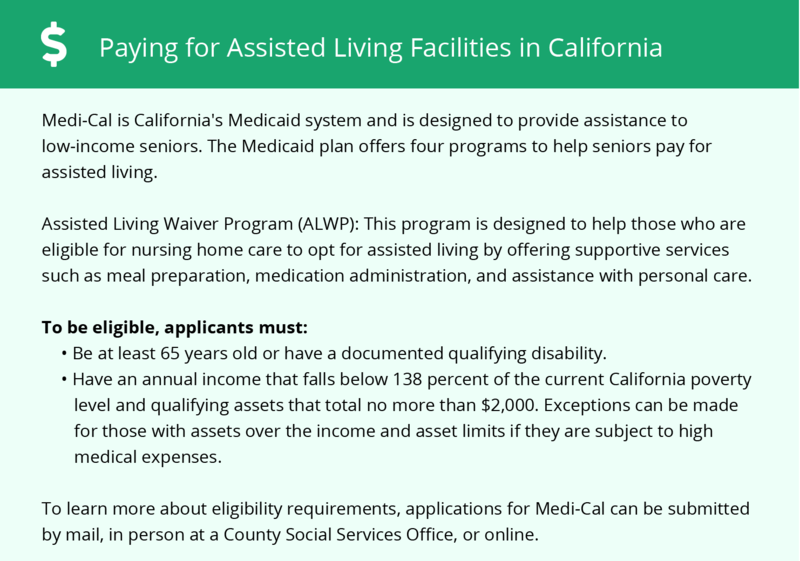 Thousand Oaks and the surrounding area are home to numerous government agencies and non-profit organizations offering help for seniors searching for or currently residing in an assisted living community. These organizations can also provide assistance in a number of other eldercare services such as geriatric care management, elder law advice, estate planning, finding home care and health and wellness programs. To see a list of free memory care resources in Thousand Oaks, please visit our Assisted Living in California page. 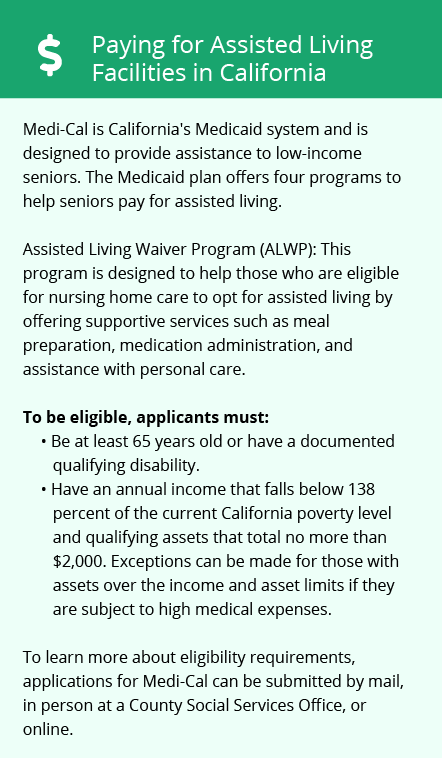 Thousand Oaks-area assisted living communities must adhere to the comprehensive set of state laws and regulations that all assisted living communities in California are required to follow. Visit our Memory Care in California page for more information about these laws.